Cal State East Bay provides a variety of services to students under the direction of the Provost, the Vice President for Student Affairs, the Vice President for Administration and Finance, and the Associated Students. These services offer a number of special programs which help students derive the maximum benefit from their university experience. Also see Cal State East Bay at a Glance chapter for additional services not listed here. The Academic Advising and Career Education (AACE) office may furnish, upon request, information about the employment of students who graduate from programs or courses of study preparing students for a particular career field. Any such data provided must be in a form that does not allow for the identification of any individual student. This information includes data concerning the average starting salary and the percentage of previously enrolled students who obtained employment. The information may include data collected from either graduates of the campus or graduates of all campuses in the California State University system. AACE provides, in addition to advising, counseling, information and employment services to assist students in transitioning from the university to graduate school or the professional workplace. These services include career advising and coaching, career exploration and assessment, occupational information, job search assistance, and employment information and referral. The office maintains a comprehensive Career Library with books, periodicals, videos, and online resources pertaining to job search, career guidance, and labor market information. A searchable online database of all books in the AACE Library is available on its website. AACE offers regularly scheduled walk-in hours for resume critiques and career-related questions. Appointments are also available for longer counseling sessions. In addition, career assessments are available in AACE and on the AACE website to provide personal assessment and occupational information. AACE offers workshops throughout the year, at both the Hayward Hills and Concord campuses. Subjects include resume writing, interview techniques, finding an internship, and personal skills assessments. Workshop and event schedules are listed on the website and in the Events Calendar. Calendars are available in AACE, online, and at eight “Career Corner” locations on campus. Employers conduct on-campus interviews for graduating seniors and alumni in the fall, winter, and spring quarters. Participants are encouraged to attend an orientation session, either online or in the Center, before registering for interviews. AACE hosts job fairs throughout the academic year for all undergraduates and graduates to explore career options and employment opportunities. Job fairs feature employers from local, national, and worldwide organizations. AACE also sponsors targeted recruitment events with a specific career or employment focus. AACE maintains an online job database listing hundreds of part-time, full-time, temporary, and seasonal jobs and internships. Cal State East Bay alumni and other working professionals in a variety of career fields provide CSUEB students with valuable career exploration information by telephone, e-mail, or in person. These “Career Contacts,” available on the AACE website, offer valuable insight into their career fields and experiences. AACE’s website (www.csueastbay.edu/aace) provides 24/7 access to information about its services, workshops and events, major and career information, job listings, resume and interviewing guidelines, and other career resources. Students can search for jobs, obtain information about occupations and career fields, participate in the On-Campus Interview program, and view the calendar of upcoming career workshops and job fairs. The EXCEL program (a TRiO Student Support Services program) is funded by the U.S. Department of Education. The program provides a variety of educational services for Cal State East Bay undergraduates who have a demonstrated academic need and are low-income, first-generation college or disabled. The major goals of the program are to increase the retention and graduation rates of program participants and to create a supportive environment that encourages academic success. EXCEL Academic Life Planning Counselors assist students in developing academic plans to complete their undergraduate degrees and solve academically related problems. They also provide advising in general education requirements, career and goal planning, scholarship assistance, guidance on balancing academic and personal life, and graduate school admission. Learning skills improvement is provided by the Learning Resources Counselor. Assistance includes diagnosing academic weaknesses in learning and language skills and providing support in test-taking, reading textbooks, taking lecture notes, study skills, time management, and offering tutoring in basic academic subjects. EXCEL students also have access to a variety of reference books on careers, learning skills, English, mathematics, reading and scholarships on non-federal financial assistance available to women, minorities, and people with disabilities in California and throughout the United States. Information about summer programs and internships is also available. To apply to the EXCEL Program or to find out more about its services, call 510-885-3722 or visit the main office located in the Library Complex (LI) Room 2450. Additional information can also be found on the website at www.csueastbay.edu/excel. Program for Accelerated College Education (PACE) is an innovative program which enables working adult students to make accelerated progress toward a Bachelor of Arts degree with a major in either Department of Human Development and Women’s Studies or Liberal Studies Program . PACE classes are the same as those taken by students pursuing their degrees through the traditional university format. The only difference is the carefully structured course sequence which includes only courses in the evening, weekend and/or online, as well as the dedicated academic advising for PACE students. The PACE program is also available at the Cal State East Bay Concord Campus. Accessibility Services provides academic accommodations and support services to address the individual needs of students with differing abilities, permanent disabilities or temporary disabling conditions. Students with documented disabilities and functional limitations are eligible for services designed to provide equivalent access to all educational general campus and classroom programs and activities. Accessibility Services also offers campus referrals for advising, counseling, transportation, and employment needs. The staff of Accessibility Services is committed to ensuring the rights and promoting the dignity, self-awareness and self-advocacy of students with disabilities throughout the university. They Accessibility Services values the diversity of the Cal State East Bay student body and works with the faculty, staff, and administration to create and maintain an inclusive environment where individuals with differing abilities disabilities have full and equal access to all University programs. At the Hayward Hills campus, Accessibility Services is located in the Library Complex (LI 2400) and can be reached by phone DD at 510-885-3868 (V/TTY). At the Concord Campus, it is located in the Academic Services Building (Room 114) and can be reached by phone at 925-602-6716 (V), DD or, 925-602-8616 (TTY). To learn more about Accessibility Services, including information about their services, policies, resources and the ADA faculty handbook, visit Accessibility Services website. Working toward your first baccalaureate degree. For more information about Project IMPACT contact 510-885-2489 or visit: http://www20.csueastbay.edu/af/departments/project-impact/index.html. independent living skills through creative approaches to meet individualized needs. CLP coaches provide academic and social support to students in the classroom, internships, groups or clubs, and in University housing as needed. Please contact us at 510-885-2436, or visit: http://www20.csueastbay.edu/af/departments/as/college-link-program for more information. Jointly funded by the University, private foundations, non-profit organizations, and individual donations, the Renaissance Scholars Program provides a variety of educational and support services for current or former foster youth attending Cal State East Bay. The major goals of the program are to create the retention and graduation rates of program participants and to create a supportive environment that encourages academic success. To find out more about the Renaissance Scholars Program browse the website at www.csueastbay.edu/renaissance, email us at renaissance@csueastbay.edu, call 510-885-4426, or visit the office in the Student and Faculty Support (SF) building, suite 202. One-on-one assistance in Math, Statistics, and Writing with a trained peer tutor. The tutor’s role is to not do the work for you, but to guide you in the process of learning the concepts in your course. If you need assistance in subjects currently not tutored at the SCAA or cannot come to the SCAA during our regular operating hours, you can log in to our eTutoring platform on the SCAA website to get near-24/7 assistance in courses such as Accounting, Spanish, and Biology. Trained student tutors are paired with an undergraduate course for one quarter to assist students in writing assignments that engage undergraduate students in the entire writing process, including feedback and revision. Provides peer-assisted, collaborate, and active study sessions that improve understanding of subject content, fosters critical thinking, and encourages life-long learning to classes that are considered “at risk” (i.e. large lecture classes). Cal State East Bay students are encouraged to use the Center regularly to improve their academic performance no matter what their skill level or class standing. Students are also encouraged to attend events sponsored by the Center, such as our quarterly, late-night extended hours tutoring event and contests. The Student Center for Academic Achievement is located in the Upper Mall of the Library. Call 510-885-3674 or visit our website for information regarding hours, specific tutoring times, workshop dates, event information, or to schedule an appointment. Student Life and Leadership Programs provides opportunities for student learning beyond the classroom and enhances the mission of the university through the coordination and support of a variety of special programs that promote campus life, leadership and community engagement. Special programs include orientation for new students and families; the recognition and development of student clubs and organizations; leadership conferences, seminars and workshops; and campus wide programs and events. More than 120 student clubs and organizations are active at Cal State East Bay. They encompass a broad range of interests, including academic, cultural, recreational, religious, special interest and Greek organizations (fraternities and sororities). These groups also offer important opportunities for personal growth and development, as well as valuable educational experiences beyond the traditional classroom setting. Student clubs and organizations sponsor many special events, including lectures, films, music, cultural programs, and social activities each quarter. The Student Life and Leadership Programs staff provides support and consultation to student clubs and organizations in planning programs and events; fund raising, publicity and promotion; and developing service projects and cultural programs. The staff also assists students interested in forming new student organizations or participating in leadership development programs. Fraternities and sororities actively contribute to campus life at Cal State East Bay. The Greek system includes five social sororities, six social fraternities, five cultural fraternities, six cultural sororities, two co-ed academic fraternities, and one co-ed community service fraternity. In addition to offering networking and social activities, fraternities and sororities encourage scholarship, leadership, community service, and affiliations that last a lifetime. Student Life and Leadership Programs provides support and assistance to individual chapters, as well as to the Greek governing councils. Getting involved in student clubs and organizations is an excellent way to meet other students, connect and engage with the campus community, develop leadership skills, pursue special interests, and persist to graduation. The university encourages students, faculty and staff to become active and involved in student clubs and organizations. More information is available from Student Life and Leadership Programs located in the New University Union, Room 2011, 510-885-3657; email: studentlife@csueastbay.edu; website: http://www.csueastbay.edu/students/campus-life/student-life/slife/index.html. Student Life and Leadership Programs and the Division of Planning, Enrollment Management, and Student Affairs offer students the opportunity to enhance their leadership skills through a variety of seminars, classes and conferences presented by campus and community leaders. Through these leadership programs, students gain the insight and skill to assume a leadership role on campus, in their career or in the community; build alliances with faculty, staff, alumni and community leaders; and enhance their future leadership potential. Various leadership programs, depending on the student’s class level and interest, are offered fall, winter, and spring quarters and are open to all Cal State East Bay students. For additional information, contact Student Life and Leadership Programs in the University Union, Room 2011, 510-885-3657; email: studentlife@csueastbay.edu#; website: http://www.csueastbay.edu/slife. Cal State East Bay’s Concord Campus, in central Contra Costa County, offers upper division and graduate instruction. Blending the natural beauty of its foothill setting with attractive facilities, small classes, and a personalized approach to teaching and learning, the Concord Campus serves more than 1,500 students. Classes are conducted in 21 classrooms and eight teaching laboratories, including a 125-seat auditorium and a spacious art studio. The Concord Campus provides a full range of student support services designed to enhance students’ abilities to succeed in their academic endeavors. The Academic Services (AS) Lobby serves as a one-stop center for students to complete registration, records and enrollment services functions on the Concord Campus. Additionally, the following student services are available on the Concord Campus: Associated Students, Academic Advising and Career Education, Accessibility Services, Bookstore, Cashier, Clubs and Organizations, Commencement, Commuter Shuttle, Financial Aid, New Student Orientation, Personal Counseling, Pre-Admissions Counseling, Student Health Services, Transfer Center, Tutoring and University Police. The Credential Student Service Center (CSSC), in the College of Education and Allied Studies provides a one stop center for all students inquiring about credential program application requirements and procedures and information about applying for or renewing teaching credentials. The CSSC is designed to inform and assist students in fulfilling application procedures, early field experience, meeting program requirements, and maintaining student records. The Credential Student Service Center is located in the Art Education Building Room 235, (510) 885-2272.
workshops on topics of special interest to international students. The study abroad opportunities offered through California State University, East Bay allow Cal State East Bay students to study overseas for one semester or academic year and earn academic credit towards their degree. The experience leads to personal growth and acquisition of valuable skills, such as language fluency and cross-cultural understanding. Financial aid (except Work-Study) may apply, and study abroad scholarships are available. CSU International Programs: Students can study abroad for a full academic year through the CSU system. Bilateral Programs: Bilateral exchange programs are one-to-one exchanges with another university overseas. Program length varies from one quarter to a full academic year. International Student Exchange Program (ISEP): Through ISEP, students have the opportunity to study in over 120 study sites around the world for a semester or a full academic year. Summer London Program: The British Documentary Experience is a study abroad program designed to give major and non-major undergraduate students a practical and powerful educational opportunity to study the history and practice of documentary filmmaking in the United Kingdom. Cal State East Bay students can study at another university in the United States or Canada through the National Student Exchange Program (NSE). NSE offers study opportunities in diverse university settings and provides access to a wide array of courses and programs. Students may use financial aid. Coursework applies to their degree. The Hayward Campus Student Enrollment Information Center is located on the first floor of the Student Services and Administration Building. 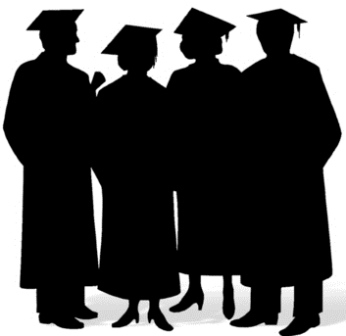 It provides general information and forms related to admission, academic advising, financial aid, records and registration, VA benefits, and graduation evaluation. The Student Enrollment Information Center is open Monday through Thursday from 8:30 a.m. to 5:30 p.m.; and Friday from 10:00 a.m. to 5:00 p.m. Extended hours during the first five days of instruction each quarter are 8:00 am to 6:00 pm except Fridays when the closing time is 5:00 pm. The Cashier’s Office, also located on the 1st floor of Student Services and Administration Building next to the Student Enrollment Information Center, is open Monday from 8:30 a.m. to 6:00 p.m.; Tuesday through Thursday from 8:30 a.m. to 5:00 p.m.; and Friday from 9:30 a.m. to 4:30 p.m. Students seeking service from departments should contact those offices directly. The UEX - (SAS,OTHER) Campus Student Services Lobby (925-602-6700) provides the same services as the Hayward Campus, with the exception of academic advising and graduation evaluation. The Academic Services Lobby is open Monday through Thursday, 9:00 a.m. to 6:30 p.m.
EOP accepts students who qualify for regular admission, as well as a limited number of students who do not meet regular admission criteria. Only low-income and educationally disadvantaged undergraduate students who need admission assistance and/or support services to succeed at Cal State East Bay are admitted to EOP. Additionally, students must be first generation, California residents or AB 540, and meet the income eligibility criteria. They must also demonstrate academic potential and motivation to succeed. To apply for admission to the program, prospective students must complete the online Cal State Apply application for Undergraduate Admission and check the appropriate box for EOP services. Once the CSUEB application is submitted (online), EOP applicants will receive an online EOP link and have access to complete the EOP Applicant Information Form and two EOP recommendation forms. Students must have all three documents submitted in order for their EOP application to be complete. Flash Note: CSUMentor will be changing to Calstate.edu/Apply beginning June 1, 2017. For assistance or for further information about EOP, please visit the EOP Office at the Library Complex (LI), Room 2500, or online at www.csueastbay.edu/eop. Prospective applicants can also email us at eopadmissions@csueastbay.edu or call 510-885-4683. 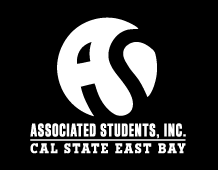 As a 501.3c non-profit auxiliary corporation of the CSU, the Associated Students, Inc. (ASI) is the official voice of the students of CSU East Bay. The ASI represents and advocates on behalf of the interests, needs, and concerns of our diverse and dynamic student body, and provides students with the services and resources to supplement and support their college experience. Each Spring, elections are held to fill the Board of Directors which consists of 15 students representing all the colleges and executive offices. Located in Suite 314 of the Original University Union, ASI Staff work with students to fulfill their organizational needs by providing special services to recognized student clubs and organizations. ASI Presents produces a variety of special programs and events to meet the social, cultural and entertainment needs of the CSU East Bay community. The university newspaper, The Pioneer, is produced in the Department of Communication . Student involvement in production of The Pioneer includes writing, editing, graphics, photography and advertising. The Pioneer is also published on the Internet. For more information about the paper, call The Pioneer office at 510-885-3175. For more information about the advertising agency which sells ads in The Pioneer, call the agency office at 510-885-3526. Students may obtain official transcripts of coursework taken at Cal State East Bay (including continuing education and special session courses) from the Office of the Registrar. Refer to the transcripts section on the university website for current ordering procedures and costs. For transcript requests that arrive via the mail, the request should include: name, other name(s) which may appear on records, NetID or Social Security number, address, dates of attendance, and the complete address to which the transcript is to be sent. The university cannot be responsible for the consequences of failure to supply any of the above information. Mailed requests must also include a check (payable to Cal State East Bay) for the current fee. Please do not send cash with mailed requests. Address the request to Office of the Registrar, Transcript Request. The Testing Office provides standardized testing and scoring for students, faculty, and administration. The office administers a variety of tests including placement and proficiency tests for Cal State East Bay and other CSU campuses and national admission and matriculation tests for undergraduates and graduates. The EPT and ELM (English Placement Test and Entry Level Math Test) are required of all new undergraduates before enrollment except for a few categories of exemptions. You may be exempt from the EPT/ELM requirements if you can meet the waiver requirements. (See “Which undergraduate placement examinations do I need to take?” in the Registration chapter.) You will be mailed an EPT/ELM test application upon admission to Cal State East Bay. Contact the Admissions Office, Academic Advising and Career Education, or on the Testing Office website. The Writing Skills Test (WST) must be taken by all undergraduate students at the beginning of the junior year, and by all graduate students upon admission to a program unless they elect to meet the requirement through coursework. For test dates and registration information, Please check the Testing Office website, and select WST. The State Education Code State Education requirements in U.S. History, the U.S. Constitution, and California State and Local Government (CODE) in may be met by coursework or a special set of tests developed by the College Board called CLEP. For additional information and registration, please contact the Testing Office at (510) 885-3661. 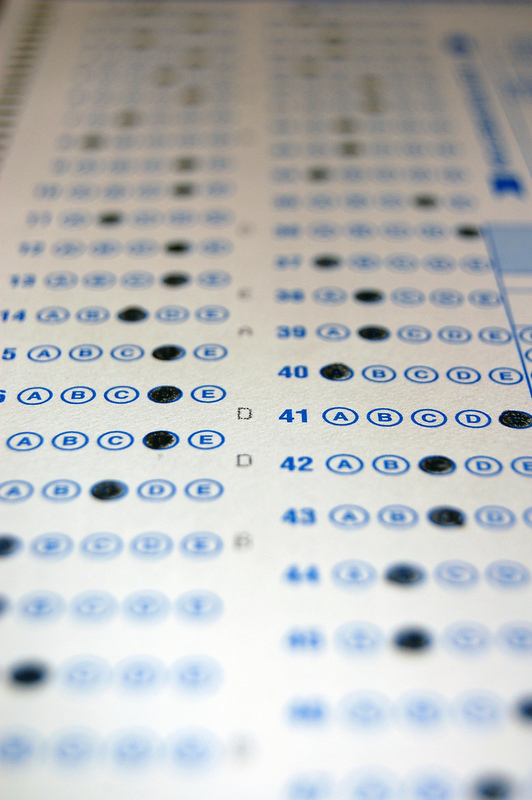 The ACT (American College Test) and the SAT (Scholastic Aptitude Test), one of which is required for entering freshmen and transfer students with less than 90 acceptable quarter units. Test results are not required of students earning high school grade point averages of 3.00 or higher (3.61 for nonresidents). Information about other tests administered on campus is available on the Testing Office website. The MAT (Miller Analogies Test) is required by some graduate departments. See graduate program chapters in this catalog for further information. Additional information can be found by contacting the Testing Office at (510) 885-3661. For information about the following contact the Testing Office at (510) 885-3661.